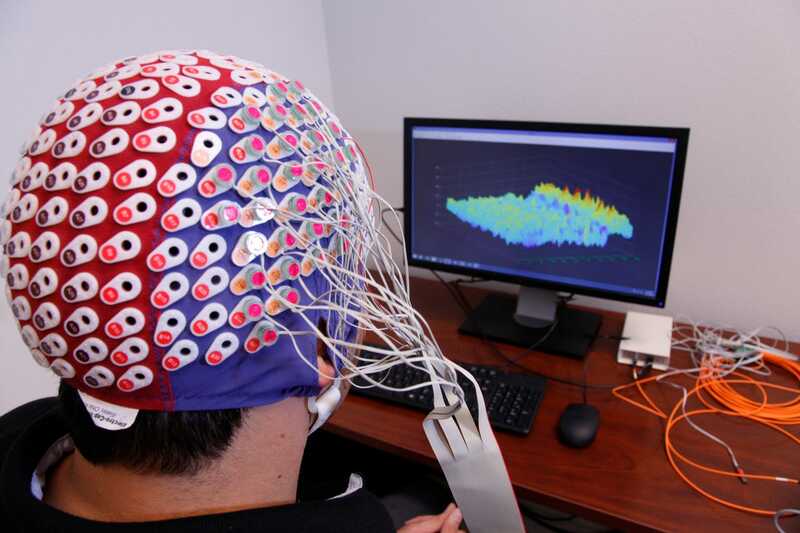 A separate, $400,000 grant provided brain-wave measuring equipment — electroencephalography, or EEG — which includes a set of electrodes. Placed on the subject’s scalp (see below), these pick up on the wearer’s brain waves, which vary depending on thought processes or activities. Machines are programmed to translate specific brain waves into commands, meaning that they can be controlled just by thinking. Tim Luukkonen/UTSAUTSA grad student Mauricio Merino wearing EEG electrodes. Back in 2006, a paralyzed man was able, with some difficulty, to move a mouse cursor on a computer, and even open and close a prosthetic hand. He wore the same type of scalp electrode technology that UTSA’s researchers now have their hands on. 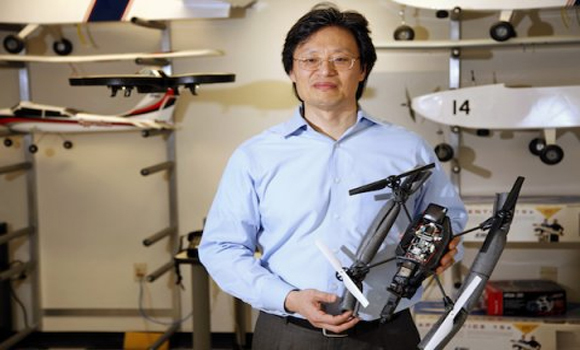 Bin He, who led the Minnesota study, told Business Insider he didn’t have any military application in mind when he decided to undertake his research. A quadcopter drone was used only because it offered a showcase for motion control in three dimensions. Commanding the drones can be done almost by instinct alone. Alex Doud, who spent seven years working with He, told Business Insider the technology reacts “in that intense anticipatory moment where you’re not actually sending activation signals to your muscle.” It works off of the same mental flinching required of an activity like a child’s hand-slap game, he said. A similar approach was used by Tim Fricke, who was involved in the intra-European “Brainflight”, the results of which were published earlier this year. Users were able to pilot a virtual plane in a simulated cockpit with brain signals linked to the movement of their hands. 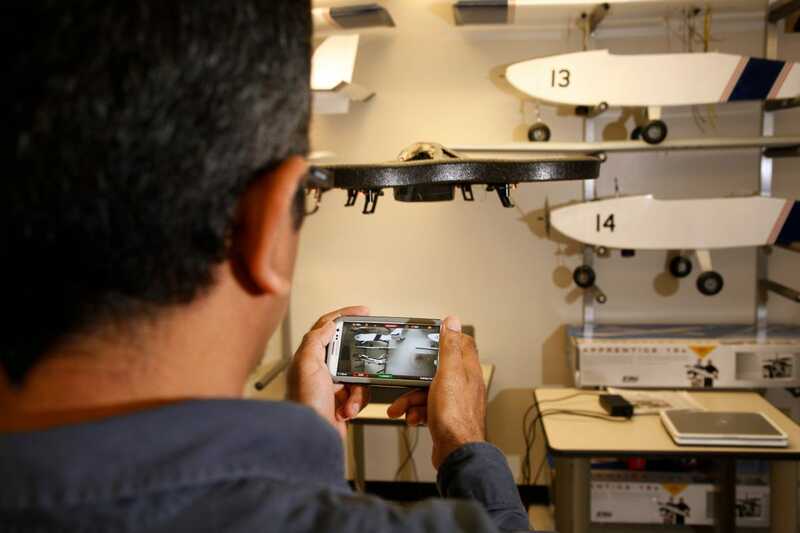 The University of Texas at San AntonioUTSA graduate student Prasanna Kolar controls a drone with a cellphone app — for now. That’s not the route the University of Texas at San Antonio is planning on taking with its own research.